You can argue that Lauri Markkanen was not the biggest star in the third window of the FIBA World Cup qualifiers, but his presence is the example that FIBA should hope that everyone follows. And despite the fact that he is among the new faces of the Chicago Bulls franshice, he didn’t hesitate to be among the first NBA players who commited to their national teams for the third FIBA World Cup qualifiers window. Yes, there are legends like Luis Scola who didn’t miss a game in the FIBA Windows, there’s the French national team that presented a roster with EuroLeague and NBA stars, despite the fact that they had already qualified and there’s also Bojan Bogdanovic and Dario Saric, who saved the day for Croatia in the last two games of the first qualifying round. So what makes Markkanen a special case? His presense and the way the fans of his country embraced the national team games were unique in Europe. It was what the FIBA Windows should be in order to become a mainstream event. Globally the Windows are doing fine, but the absense of Euroleague and NBA players is hurting them in Europe. And while the focus during the November and Ferbuary windows was the missing EuroLeague players, on the third windows the real issue was the NBA. Out of 108 international NBA players, only 30 were present in the windows for various reason. A lot of local federations insist that it’s not about the qualifying games. Many NBA players were absent in the near past during the continental tournaments and were really interested only in the Olympics and the FIBA World Cup. And considering the absences from Eurobasket 2017 they are right. Pretty much the number of NBA players in the last Eurobasket and in the third FIBA window is the same. If that’s true, then the FIBA World Cup qualifiers would become by default a competition that may go inoticed, like it’s happening in the US. The NBA players are vital in order for the national team games to reach the biggest possible audience. And they can bring amazement on the court. 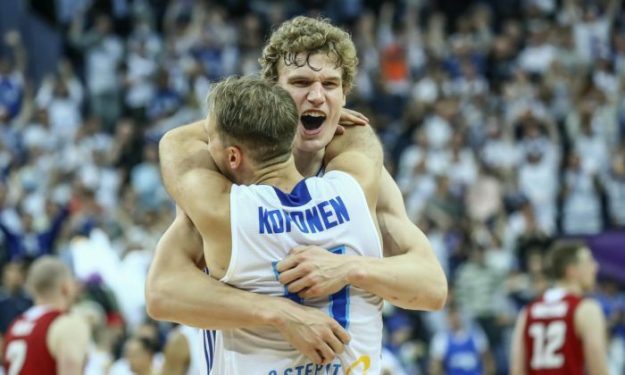 With Markkanen onboard, a new record for the European qualifiers was registered in the Helsinki Arena with 12.183 spectators while the player himself registered a career high of 28 points in the 91-77 win over Iceland.